I have been wanting a pair of flare jeans for a while but I was trying to find the perfect pair. I finally found them. But then I had to take them to the tailor and that took forever. Flare jeans always run so long. But I am so happy with them! I love the zipper details at the pockets. I wear skinny jeans so much that it is nice to wear these for a change. The winner of the Nuna giveaway is announced in that post and the winner was emailed last night! Thank you so much for entering! I love this outfit! I'm a little nervous to get flares because I'm so short - how do you shop for the perfect ones? 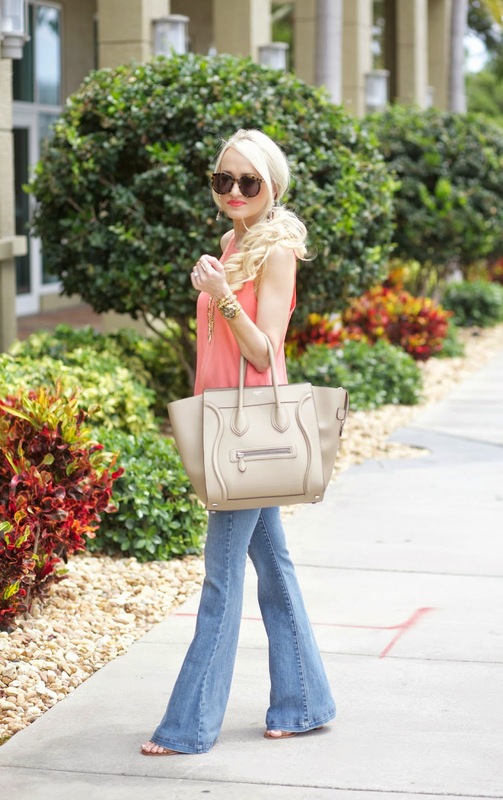 Gorgeous look; I am LOVING flared jeans for spring! These ones you found are the perfect shade.. I need to invest in a similar coloured pair! Absolutely LOVE the flared denim, I really need to get myself a pair! Love your outfit. Looks like the outfits I gravitate towards. The color of that top is gorgeous. I love these flares on you and the detail on the back of your top is so cute! Love this whole look! You're inspiring me to go look for a pair of flares! Absolutely love that top and of course your Celine! I desperately want in this color! 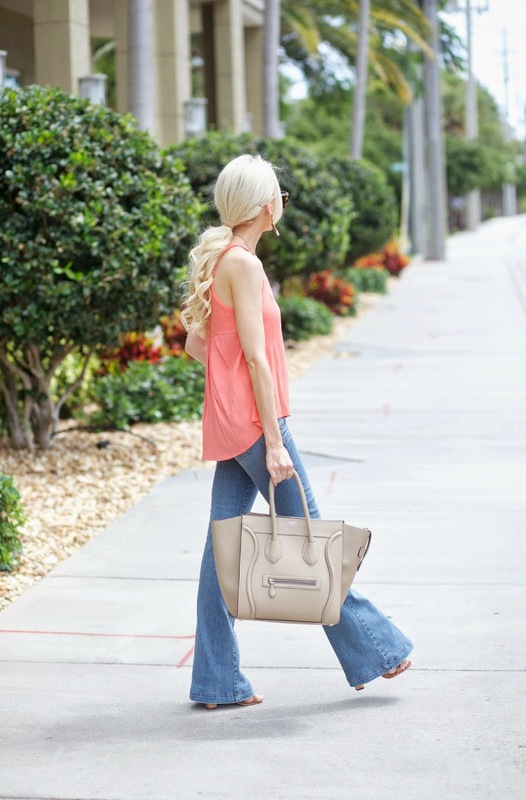 Flare jeans are coming back into style so much and I love the way you paired them! Oh really love those flares! You look great in them and the wash is perfect!